Clive Thompson LRPS Photography: Happy Return, East Street, Chard TA20 1EP around 1974. Happy Return, East Street, Chard TA20 1EP around 1974. The Happy Return, East Street, Chard around 1974. 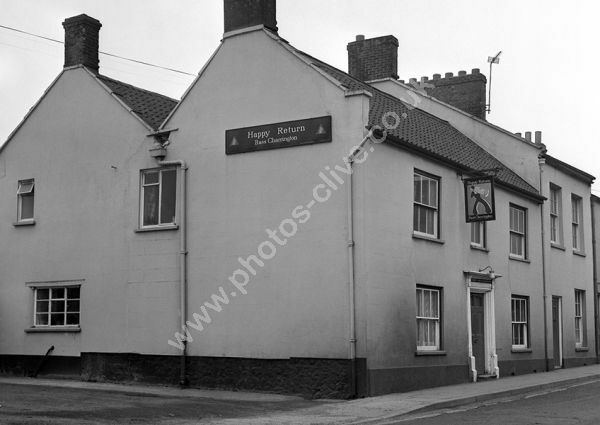 It was named thus in 1970 (before that it was the Railway Hotel and before that the Red Lion) and the pub sign depicts a happy sailor with a kit bag over his back. For commercial use of this photograph please visit www.alamy.com and search for ADDG2F but for a one off print, please see below.